"Happy Fathers Day Senyo" Facebook User Proudly Shares Her Photos With Different Men On Social Media! So many Facebook users were shocked about this transgirl who proudly shared her photos along with different old men. A certain Facebook user named "Nikkie Crisostomo" Posted four photos of her with different old men with the caption "Total kinukulit nyo ko. Ayan na, Happy Fathers day senyo. Di ko na kayo isa isahin. Mahal ko kayo"
Her post immediately spread online and has scored over 1.5 thousand reactions and 8 hundred shares in just 2 hours and it gains a lot of random comments from netizens on Facebook. Some of them wrote a negative comment and discouraged gheng to continue with 'occupation'. 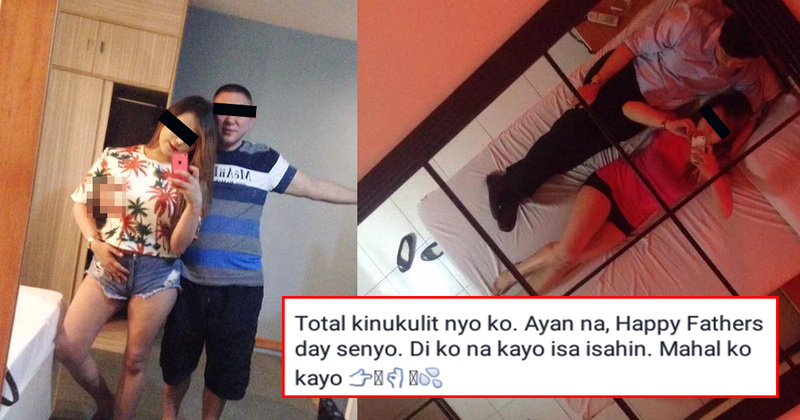 Some netizens expressed their disgust over this lady's blatant vulgarity. What can you say about Nikki's viral post? Do you think she was just a victim of hacking? Share us your thoughts by simply leaving on the comment section below. For more viral news and latest updates, feel free to visit our site often. Thanks for dropping by and reading this post.